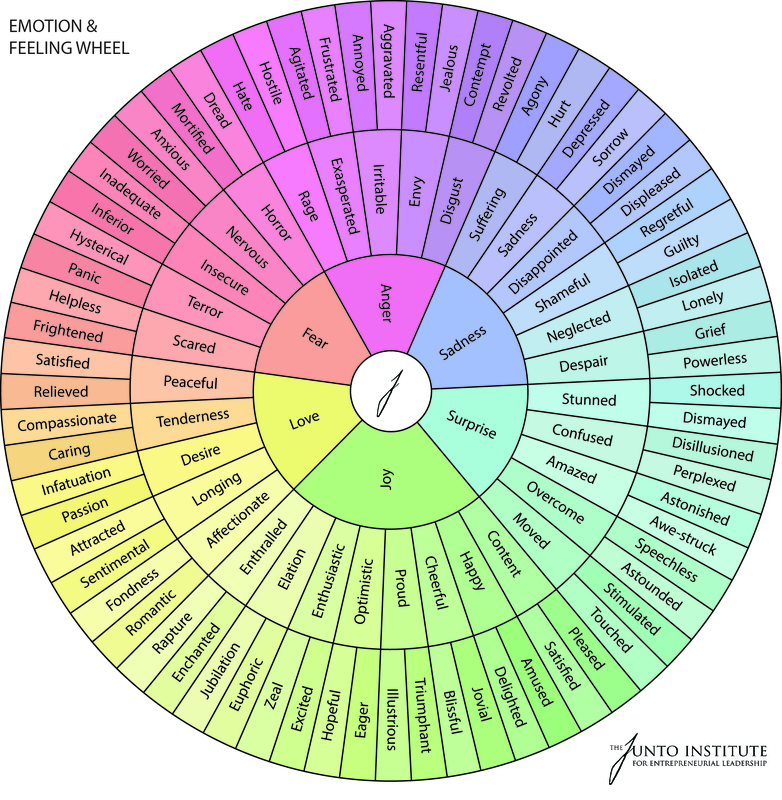 In all of the work we do on emotional intelligence and leadership, perhaps nothing draws more attention, response, and delight as the Junto Emotion Wheel. 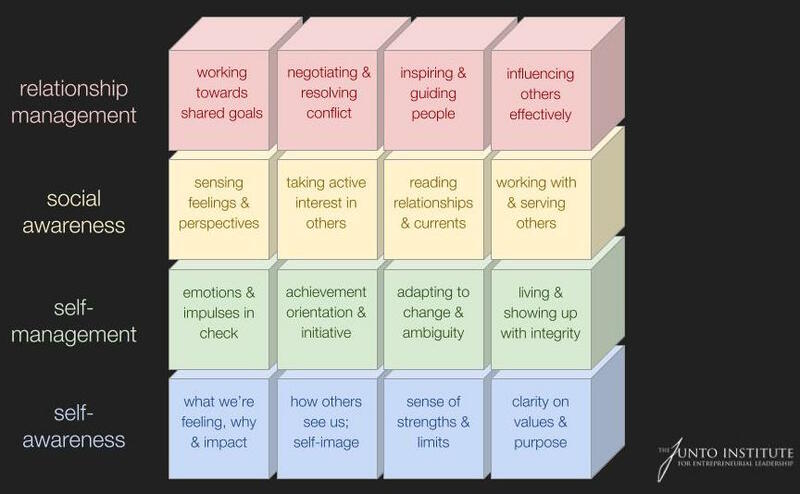 I've been learning, practicing, and speaking about emotional intelligence for about 10 years. But it wasn't until six months ago that I finally discovered how best to describe the concept, and the feedback I received only reinforced that discovery. In recent weeks, many of us created the time for or found ourselves doing some reflecting. We took stock of what we accomplished last year, what we would have done differently, and why. We also probably thought about what we want to accomplish in the new year, and what it's going to take. 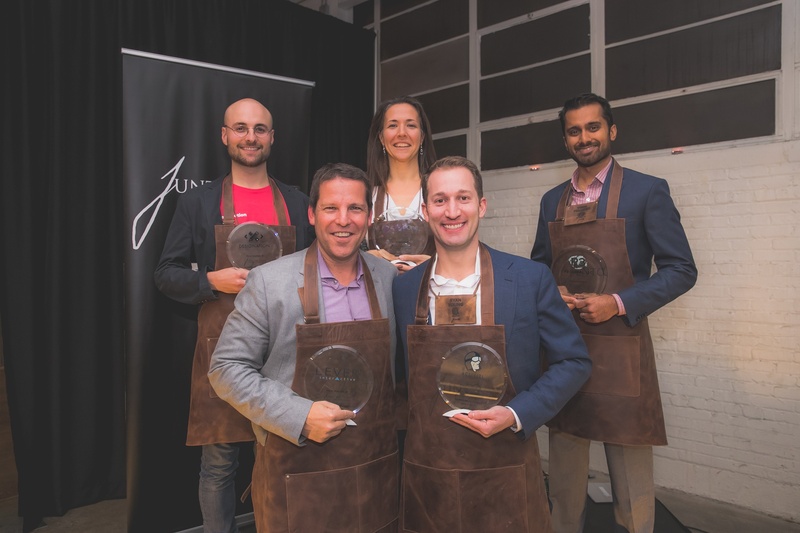 When I joined the JuntoTeam, I knew I was in for a unique experience but had no idea how unique it would be. Days after graduating from college, I found myself sitting in a Chicago office with a new team that instantly became my friends. 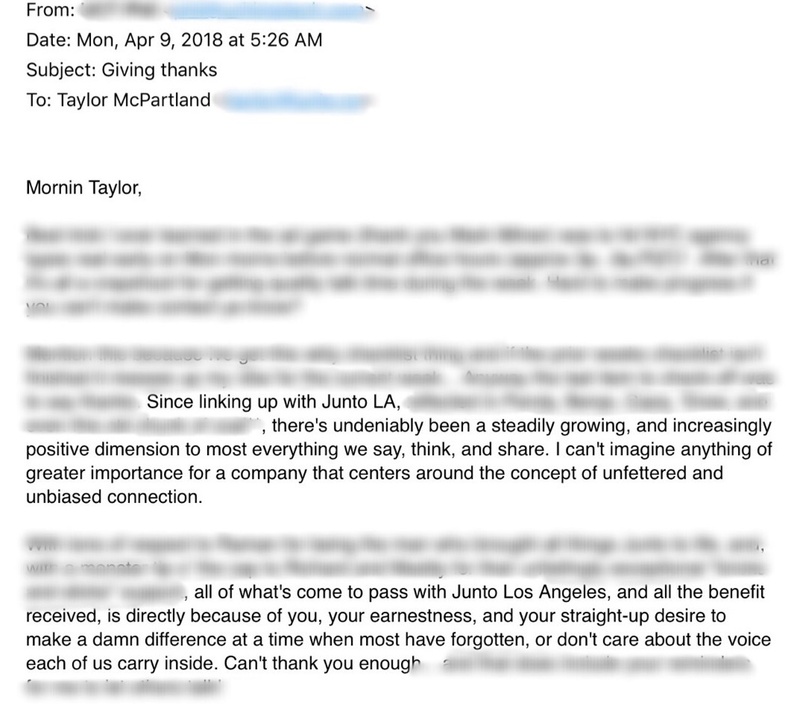 After one week of warm welcomes and a self-guided onboarding process, I knew something about this company was different, but I couldn’t quite place my finger on it. One of the pillars of the Junto program is emotional intelligence. 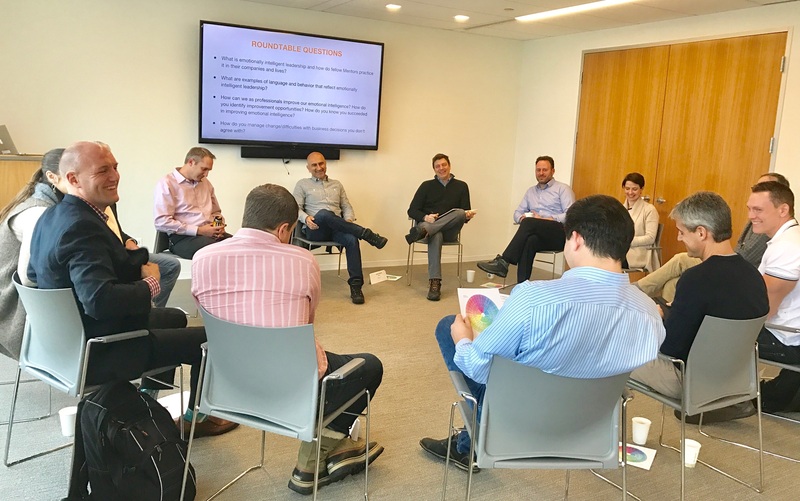 It is a focal point of the JuntoForum, the subject of four JuntoClasses, and a topic of conversation at happy hours, in one-on-one meetings, and among the companies' employees.